As an ambitious entrepreneur, you've worked hard to create a startup that solves your prospective customers' problems. You've also built a smart marketing plan to make sure they hear your message. Of course, that includes a website, but if your marketing strategy and website don't effectively embrace responsive design, you could be missing the boat, and missing a substantial piece of your market. In 2013, sales of mobile devices outpaced those of PC's for the first time. And Web surfers now spend more hours each month accessing the Internet through their smartphones (34) as compared with PCs (27). Capturing this growing market means giving mobile users what they're looking for. One of the survey shows that more than 60 percent of mobile shoppers will abandon your site if they're frustrated or encounter any problem - like a site that was designed for desktop only, or a responsive site that doesn't respond to their needs. It's easy to make the mistake of creating mobile sites which are little more than miniature versions of PC sites. They trim and organize content to accommodate mobile's smaller footprint. That's an important first step, but it's equally important to understand that mobile users behave differently from PC users, and that mobile content needs to match mobile behavior. For example, mobile users are not confined to a single physical location. They're in to a brick and mortar store about which they want immediate information. Or they want to check in with their home office, or with friends, or find an address or phone number. They might be waiting somewhere, bored, and simply need to occupy their time. The point is that with mobility comes an urgency, an immediacy not typical of the PC experience. Mobile strategy needs to organize content in ways that accommodate a mobile users' need to access information they need right away. This step is obvious, but it's an important one. You have to make the most of mobile's smaller footprint. That means editing your content down to the most essential facts and calls to action. Retain only the content mobile users want and that moves them effortlessly through your site. One way to reduce content is by leveraging video in place of copious text. If you have online forms, keep them short with no more than five or six fields. 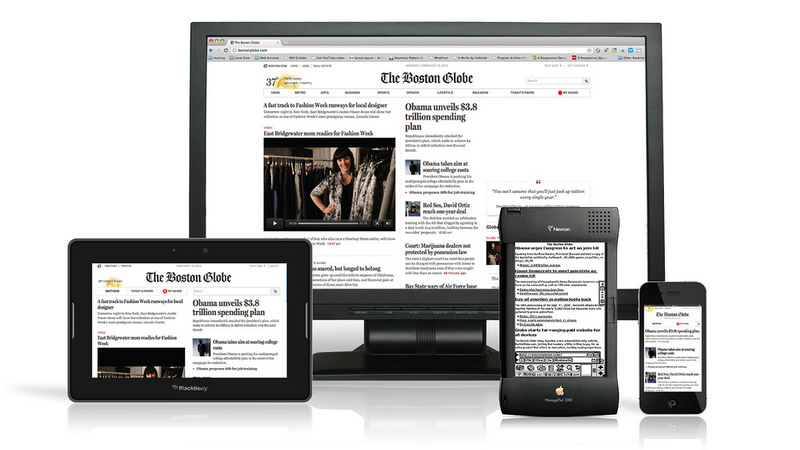 The same content of The Boston Globe adapts to fit the various devices. Desktop users might want to explore your website, but mobile users tend to be hurried and want immediate access to critical content. The content they want differs from one site to another - it could be stock updates or data about local businesses or relevant informational articles. The point is that the navigation tools that organize content on PCs tend to be an actual hindrance for mobile users. 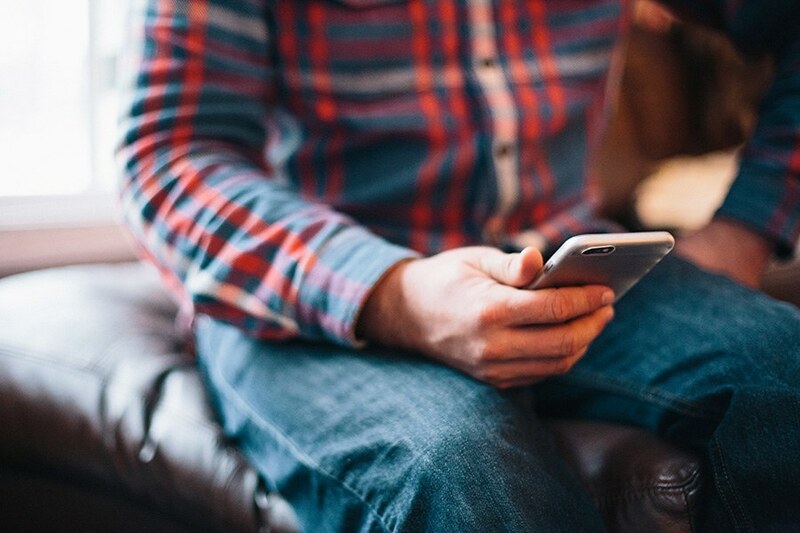 Use analytic tools to identify the content your mobile users want. Then limit navigation options in favor of a content-rich presentation. Some buttons that your site needs on PCs already exist in mobile applications and devices. Moving these over to your mobile site takes up precious space and causes confusion. For example, many applications and mobile devices already include a back button to aid navigation for mobile app users. Take the time to understand the navigation aids provided by mobile devices and apps to avoid redundancy and confusion. Consider what it is mobile users come to your site to do, and put this front and center. 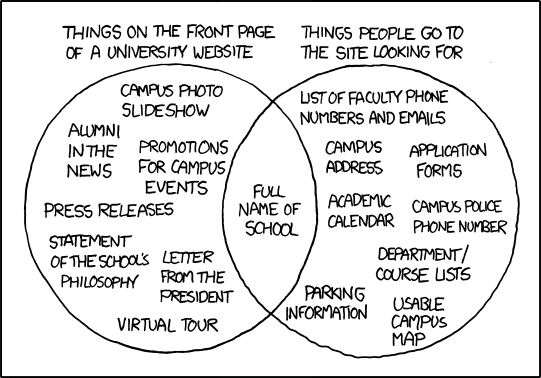 For example, users of Yahoo! Mail's mobile email service are there for one reason - to compose emails. For this reason, Yahoo! limits navigation to just one option (cancel), leaving the remainder of the screen for composing emails. Creating an effective mobile-optimized content strategy means respecting mobile's smaller footprint and understanding the ways in which mobile behavior is different. At netguru, our developers are experienced in creating Web and mobile applications. If you have a project in mind, we would love to help. Do you ever wonder: "should I develop an MVP mobile applications in Swift or Objective-C?" If so, this guide will help you in finding the best solution.